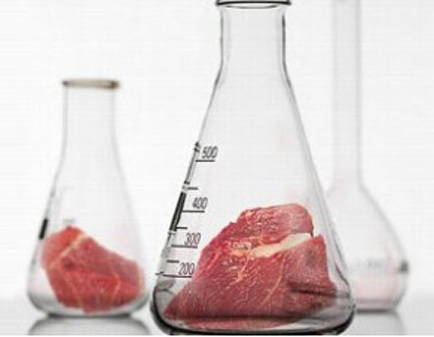 I came across this article in the Guardian which gave a very interesting account of how cultured meat, developed in the laboratory, could have a dramatic effect on global hunger and climate change. Now, hold your horses ;-), I know that most of you reading this are thinking “It’s official, the scientists are crazy, trying make us eat laboratory meat etc etc”. I would have said the same thing at first instance, however, now I’m not so sure.The article does a very good job of really breaking down the advantages and disadvantages. Moreover, all you environmentalists and health gurus will find it interesting to know how much more advantageous this theory is to our environment and ultimate world health. The science is not difficult to understand and is explained really well in the article it-self so i wont go into it now. Cultured or In Vitro meat may sound scary, but honestly how many of us can say any of our meat is not affected by either steroids or farm “fed” animals (what EXACTLY are they being fed)? In-fact, I would go so far as to say that in the west, much of our food in-take is “unnatural” and taking all these pharmaceutically produced additives, vitamins,minerals, and health potions is just a case of the apple not falling too far from the tree! Even our vegetables are “mass produced” and sprayed with chemicals. I have seen what a “organic” tomato grown organically looks like at my Grandfarthers farm in Sudan, and they never came out perfectly round nor do they taste the same! Click here for the full article and let me know what you think, it is really interesting stuff. If you like it, share it. I question the advisability of allowing a food source to be controlled by those societies that can fund the labs. Leaving the global consumer at their mercy. I see a parallel with GM seed (it doesn’t reproduce and so farmers become dependent on the seed companies). We are already seeing the displacement of people due to lack of water; we are warned that water may become a source of conflict. Is meat to become a displacement / conflict vector? The notion that land not used for rearing livestock will be turned over to forrestation is devastatingly naive. Deforestation also takes place in order to grow crops. These may produce less methane and other greenhouse gases but what of the impact of fertilisers, herbicides and pesticides? It will be interesting to see how these and other factors are dealt with. Me, I like my beef grass feed. That’s why I have a herd of brahman.